This famously glamorous event, held each May, is one that is in all actors, filmmakers and A-lister’s diaries as the place to mingle, promote and showcase their films in front of the worlds most renowned directors and producers, hoping to win the most prestigious award; the Palme D’or. If it isn’t already, this magnificent film festival should definitely be on your bucket list to attend and see (or hopefully mingle with!) your favourite stars on the dazzling Cote d’Azur. This year brings the 71st edition of the Cannes Film Festival with Oscar-winning actress Cate Blanchett adding sophisticated glamour along with her extraordinary industry expertise as this year’s President of the Jury. Planning in advance is key to making the most of your time at this prestigious event – if you haven’t booked your place yet, you’re nearly too late but with our enviable network we can still get you in! Below is our experts guide to organising your trip to the Cannes Film Festival 2018, taking place from the 8th-19th May 2018. Nice Cote d’Azur International airport is just 17 miles from Cannes, which means it is just a 40-minute, scenic drive from the Nice airport to the glamorous city of Cannes. It won’t come as a big surprise to discover that the most popular way to arrive for the Cannes Film Festival is by private jet, with an average of 109 jets landing each day! If you do choose to arrive in style, Cannes Mandelieu is a private airport where you can land your jet closer to the festivities for a more incognito entrance. 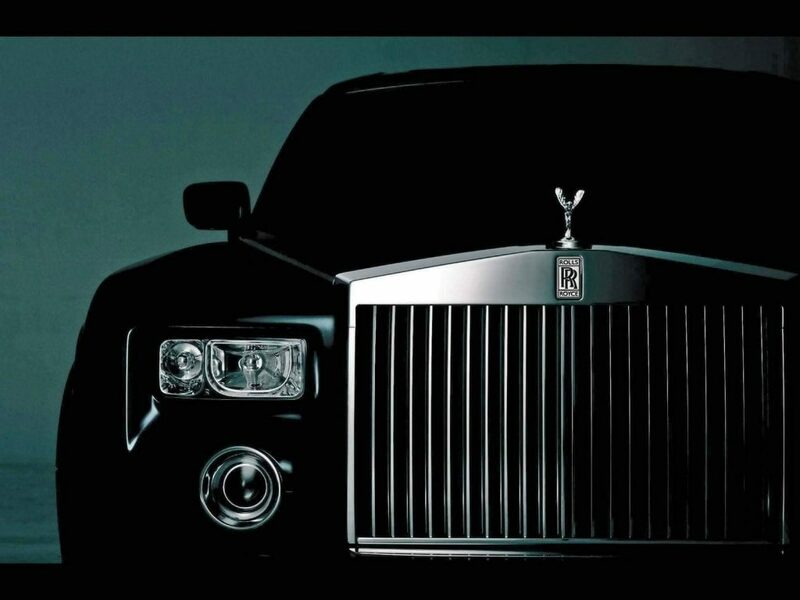 We can also organise a designated, private driver to meet you at the gate and chauffeur you to your luxury accommodation in Cannes or close by areas such as Cap d’Antibes and Saint Jean Cap Ferrat. 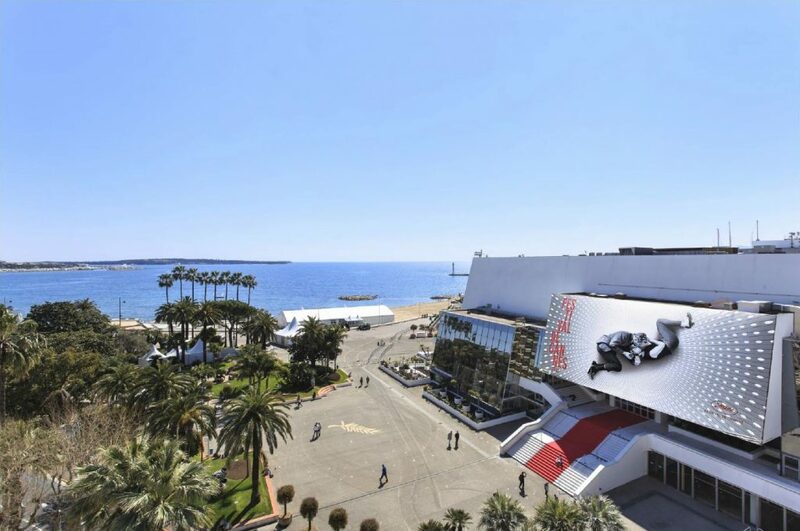 Due to the global popularity of the festival, many of Cannes luxury rental properties and five star hotels are booked up to a year in advance so its for the film festival so it goes without say that you will need to book far in advance. One of the most popular choice for celebrity guests is the iconic International Carlton Cannes hotel. The Carlton has been a welcoming host to thousands of stars over the decades including Grace Kelly, Uma Thurman, Robert Di Niro, Beyonce and many more. It’s the perfect location for red carpet glamour preparations as it is just steps away from the Palais, and for hiding from paparazzi with its own private beach with famous, picturesque jetty on La Croissette. The Carlton bar is also an infamous hotspot for VIP after-parties during congress with guests only invitations. 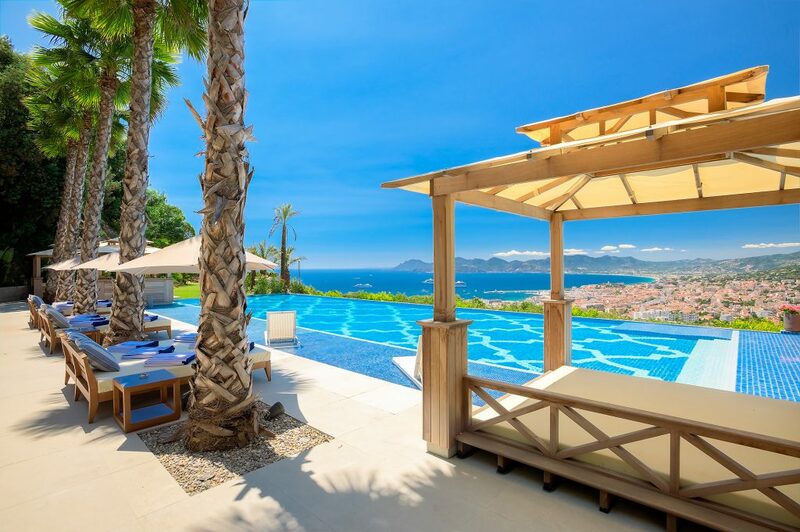 If you are looking for somewhere more private, just a short drive or walk away from the festival, with your own private pool and stunning see views then you need to view our hand-picked Cannes portfolio of luxury VIP villa rentals . As the UK’s leading luxury property experts for the South of France we have over 1,200 world class apartments and villas for rental and sale. Only a small selection of our luxury properties can appear on our website but these maison privée properties can be sent to you upon request. From beautiful traditional Provencal villas, to modern contemporary apartments and penthouses with vast terraces and pools, all perfect for corporate events and entertaining- for the most exclusive villas to rent in Cannes contact our award-winning South of France congress and holiday villa rental experts. Although many tourists come to Cannes to catch a glimpse of their favourite film, fashion and TV stars on the famous red carpet of the Palais; the Cannes Film Festival is an industry professionals only event. This means you will have to have apply for accreditation (or know people in high places!) to get into the awards and major film showcases. The prestigious gala screenings are by invitation only and to get one of those golden tickets, you will have to have an accreditation. There are four types of accreditation with four levels on offer ranging from standing outside the Palais to spot celebrities, to experiencing the red carpet in all its wonder as you enter a star-studded viewing. Proper planning is essential for getting the best access. The Marche du Film accreditation is for buyers, sellers, producers and film industry institutional representatives, Festival Accreditation is for film professionals, Press Accreditation is for journalists, photographers and the final accreditation is Accreditation Cannes Cinephiles. This is for students, film clubs and educational groups. This is the lowest level access but you will get tickets to screenings and it can be used if you are invited to attend The Red Carpet Black Tie Formal Gala screening. Make sure you visit the Cannes Film Festival’s official site for the requirements and deadlines to apply for accreditation. If you aren’t eligible for accreditation, rest assure there are plenty of ways to still join in, mingle with the stars and enjoy the festival. We highly recommend visiting the Cinema De La Plage; a large outdoor cinema on the beach. It’s definitely worth getting there early, bringing your own picnic with a bottle of fizz to enjoy as you watch a variety of classics and groundbreaking films before anyone else. The main event is the Official Selection. 20 films compete for the Palme d’Or and are shown at the Theatre Lumière. Un Certain Regard is 20 original films selected from different countries which are very different from the more commercial Official Selection. They are shown at the Salle Debussy. Out of Competition films do not compete for the main prize and are shown at the Theatre Lumière and Cinéma de la Plage. Cinefondation: Around 15 short and medium-length pictures from international film schools are shown at the Salle Bunuel. Short Film Palme d’Or: Around 10 short films in competition are shown at the Salle Bunuel and Debussy theaters. Time to dress like the stars and make the most of the electric atmosphere by getting on the guest list for one of the numerous private, VIP or club parties hosted by big names such as L’Oreal, Netflix and Swarovski. There are generally two types of party in Cannes – early evening cocktail receptions and post-screening bashes. The former take place around sunset normally in the beach-front pavilions on the various terraces along the Croisette. The latter take place all over Cannes and often private villas. Although the festival itself does not run any official parties for general festival attendees itself, there are plenty of clubs, hotel bars and eccentric guests that throw unforgettable parties. Looking for VIP access? Speak to our concierge team before the guest list fills up! Our dedicated Cannes Congress corporate property rental specialists would be delighted to talk about our luxury villa and apartment rentals in Cannes and answer any of your questions, get in touch today to start your tailor-made Cannes Film Festival experience.